Vehicle Safety and Inspection Standards Online (VSIS Online) is produced by the Queen’s Printer in partnership with the Ministry of Transportation and Infrastructure, and the Commercial Vehicle Safety and Enforcement Branch. 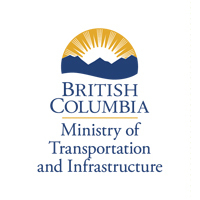 The Ministry of Transportation and Infrastructure encourages all Vehicle Inspection Facilities to use this affordable service to ensure they comply with the law under Section 25 of the Motor Vehicle Act Regulation by having the most current vehicle safety and inspection standards and related legislation such as the Motor Vehicle Act and regulations. a complete, interactive source of methods of inspection for vehicles. a comprehensive source of applicable, current British Columbia legislation from official sources. instant search results using our powerful and easy to use, FAST NXTTM search engine. The new 2016 Vehicle Inspection Manual was enacted on July 1, 2016. See Compliance Circular (No. 02-16) for complete details on implementation and transition period. The 2016 Vehicle Inspection Manual was amended on March 1, 2018. See Notice (No. 01-18) for complete details. 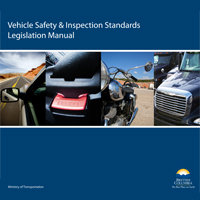 This manual includes the Motor Vehicle Act Regulations and other acts and regulations related to vehicle safety and inspection. You can also subscribe to our tri-annual updating service that will help you stay current on any changes to the legislation to ensure compliance.